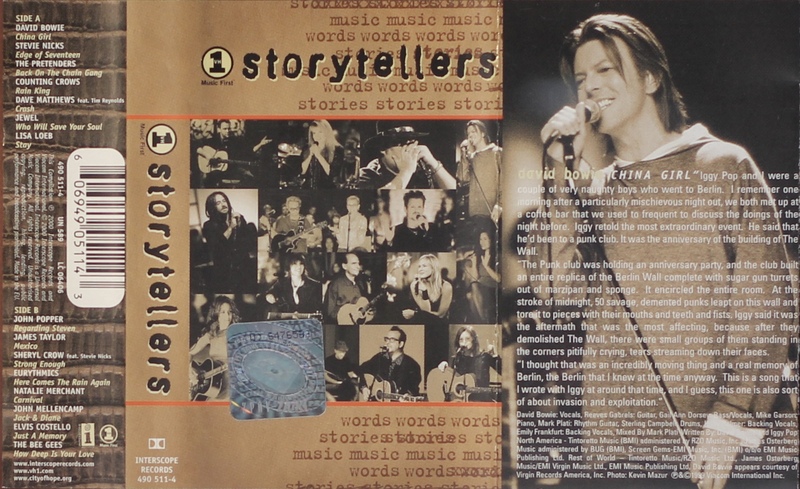 VH1 Storytellers: Poland; Interscope, 490 511-4; 2000. 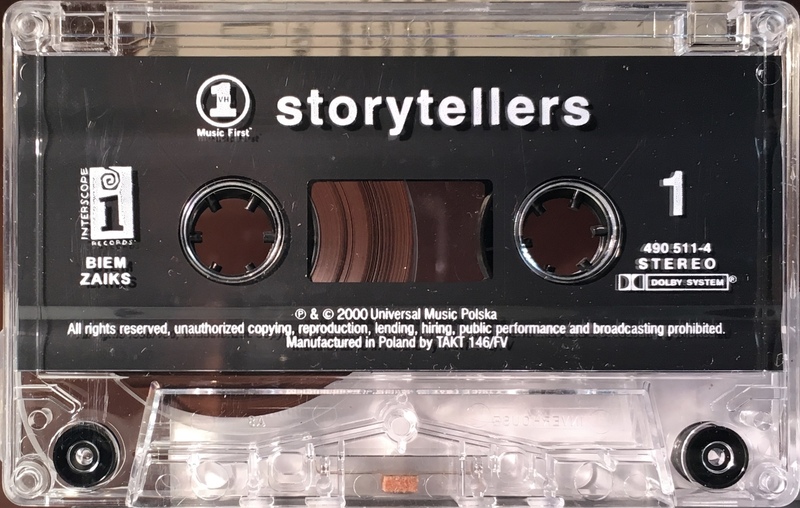 Concertina panels on glossy paper with track list on the rear half-panel and a rough transcript of the spoken introduction to this track is printed on the picture inside panel (shown). David Bowie performs on one track: ‘China Girl’ on Side 1. 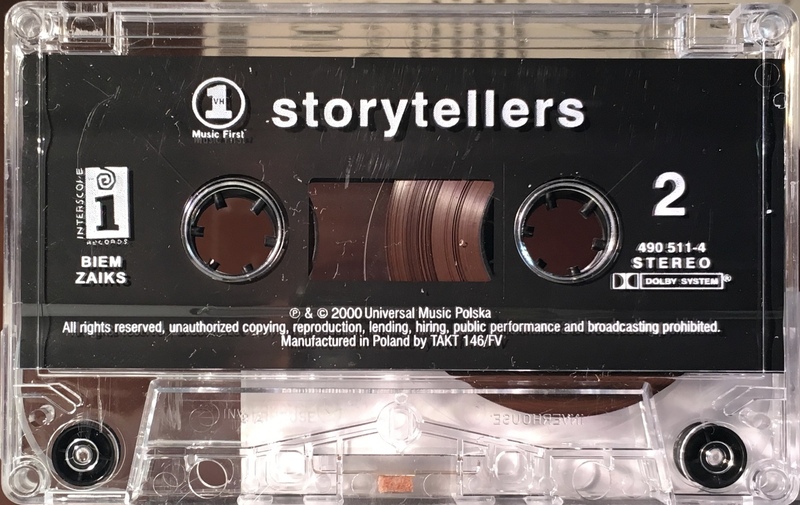 Black ink printed onto white label onto white shell.